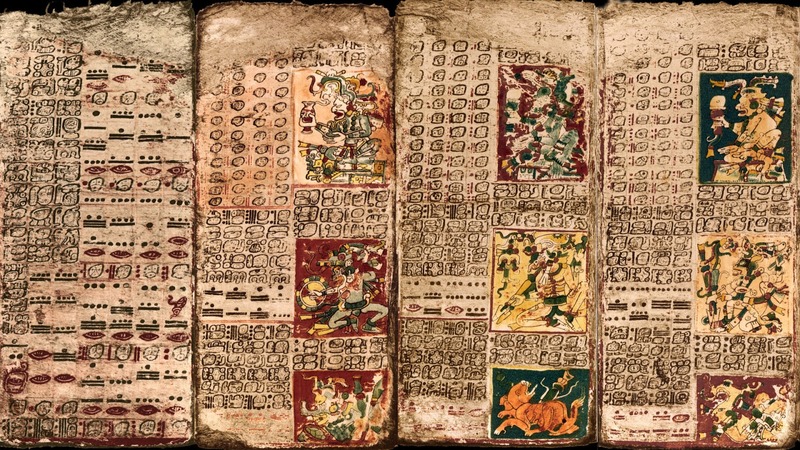 History Mystery: Mayans Number System! I think this is the right time to discuss about the Mayan calendar and hence this post for your views. Before going to discuss the Mayan mathematics and numbers it is very important to know how we came to know all about them. Here is a small briefing: Diego de Landa a Spanish Franciscan aged 17 landed in Yucatan peninsula and helped the Mayan people to resist the invasion of Herman Cotes of Spain. Remember that the people of the Yacatan peninsula were the descendants of the ancient Mayan civilization which was declined after 900 AD. Landa tried his best to protect the people from the Spanish masters and he visited all the ruins of the great Mayan cities of ancient civilization and learnt their customs and their history. Since he is a Franciscan a stunt follower of Christianity he abhorred their religious practice and sentiments he ordered for the Mayan idols and books should be destroyed. Later he has regretted for his action and he did mention in his book “Relación de las cosas de Yucatán” In that book he describes the hieroglyphics , Mayan customs, their temples and temple practices etc. Few Mayan documents which survived after Landa’s destruction were Dresden codex, Madrid Codex and Paris Codex. In the all above the Dresden Codex is believed to be copied from the original documents of Seventh century AD and it is a treatise of Astronomy. Knowledge of Mayan civilization has been greatly increased in the recent years due to the modern technology such as aerial photography, satellite imaging and high resolution radar imaging etc. The Mayan people constructed temples, palaces, shrines, thatched houses, terraced buildings causeways and huge dams to store rain water and the rulers were the high priests and possessed high knowledge in astronomy field. The farming was carried over in the raised fields with the help of the irrigation system. They were the highly cultured and civilized people who used calendar for their routine and religious life. Since they are masters in astronomy and calendar it is evident that they are masters in Mathematics too. The Mayan followed a very refined number system. It is assured that their mathematical system was the very advanced one of those times. 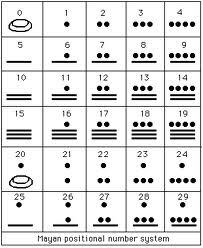 Mayan number system is based on twenty (it is worth remember we are following number system based on ten). Most of the scholars give the following reason for their d vigesimal (twenty) system. 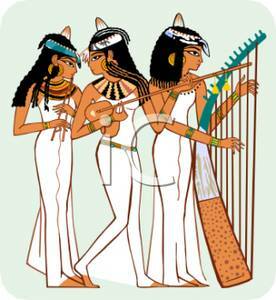 Ancient people used both of their fingers and toes for calculation hence it is. Though it is of base twenty it has only three symbols for representing a particular number amazing isn’t it? They had the number zero and it was represented by a shell. Though the number system looks like positional, it is not actually so. 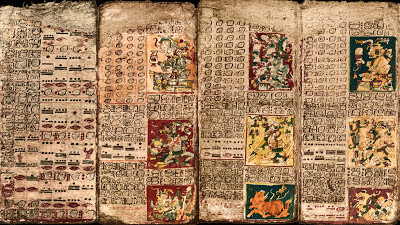 The above example was derived using the Dresden Codex. Some of the historian argued that they have followed different systems for astronomy, calendar and merchandizing but there is no written evidence for that. Let us discuss about the Mayan Calendars, they followed two calendars namely ritual calendar and civil calendar. The ritual calendar was known as the Tzolkin based on 260 days and it contained thirteen months of twenty days each. Each month was named after their gods and the days were numbered from zero to nineteen. The Haab, namely civil calendar consisted of 365 days and it had eighteen months of twenty days each and the remaining last five days were mentioned as wayem. According to Landa’s “Relación de las cosas de Yucatán” this last five days were considered as unlucky period for them and during those days they won’t wash comb and not even do any hard work. A satisfactory reason for why they followed two calendars could not be found. The years coincide after every 18980 days in other ward after every 52 civil years or 73 ritual years. Mayan astronomers accurately calculated the movements of Venus. Apart from these calendars the Mayans measured the time in another way also. It was an absolute time scale based on the creation date. 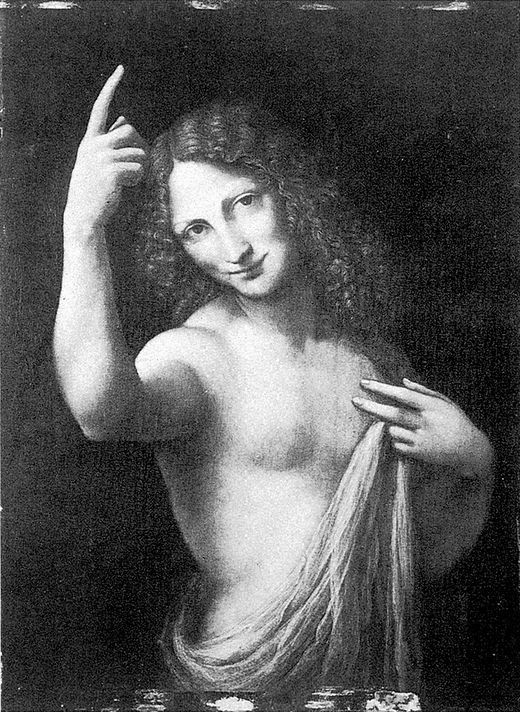 12th August 331 BC is taken as creation day but some historians differ from this Long count. The long count based on 360 days in a year is nothing but the count of days in Mayan number system hence it is more accurate than the other two calendars. Most of the inscriptions available from the Mayan towns are in terms of long count only. This [8; 14; 3; 1; 12] date is mentioned in a Plate found from the town Tikal. Let us calculate the year of inscription. 12 + 1 × 20 + 3 × 18 × 20 + 14 × 18 × 202 + 8 × 18 × 203 = 1253912 That is it was made 1253912 days after the creation date of 12th August 3113 BC. Hence the plate was carved in the year 320 AD. The Mayans astronomical measurements are outstanding and more accurate. They don’t have any instruments other than sticks. They made a cross like shape with the help of two sticks both tied together at 90 degrees and through this they observed celestial bodies and their movements. 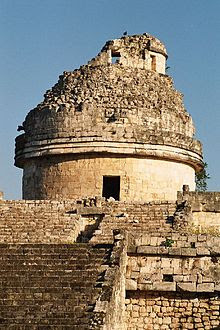 Many of the historians believe that The Caracol building at Chichen Itza to be a Mayan observatory. Many of the windows in Caracol follow certain rules with respect the movement of moon and Sun. With their crude instrument namely with sticks the Mayans accurately calculated the length of a year as 365.242 days. Our modern scientific world recorded the same as 365.242198 days. In the similar manner Mayan accurately calculated the lunar month as 29.5302 days and latest findings displays it as 29.53059 days. History Mystery: “Lothal” Proof For Dravidian maritime knowledge! The maritime activities of India were very much old as that of Bronze Age (i.e. of between early third and mid second millennium BC). 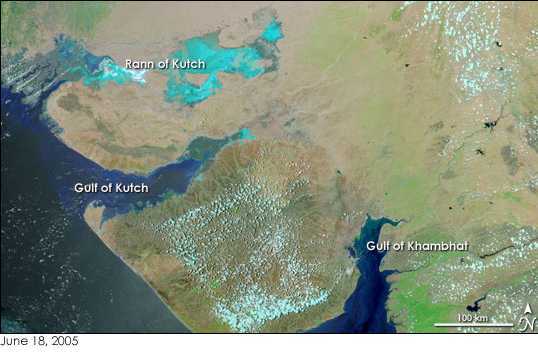 The excavation of Lothal at Gujarat coast constructively gives evidence for the maritime activities of the Dravidians. The Gujarat coast is with several creeks and rivers that provide a natural environment for the harbor along the coast. The Gujarat coast is rich in marine wealth such as conch and shells which were exported during those days. 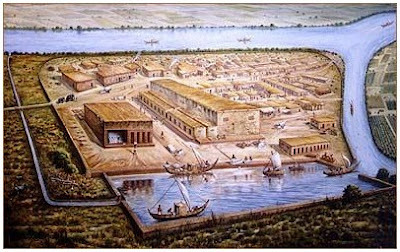 Since from the prehistoric period the Harappan people aware of the behavior of the tidal waves and they were the first who used the ebb and neap flow of the water effectively in berthing and moving the ships from the dockyard. They constructed a harbor at the coastal city Lothal in Gujarat. The early works of Tamil and the later works in Sanskrit illustrate, the ancient’s have the thorough knowledge in the tidal waves and they were also aware how the tides changes its behavior according to the position of moon. Sadly there is no physical evidence to show that they had a thorough knowledge in astronomy. In the early historic period the Harappans had a clear understanding about the coastal tidal features and their special importance for maritime navigation. The Indus valley Dravidian people have a very close trade contacts with Sumeria, Srilanka and others both by the land and sea. This was supported by the finding of a seal and a pot - sherd portraying a ship. It is further substantiated by the discovery of the Lothal, a Harappa civilization site in Ahmadabad district in Gujarat. The Harappans constructed a dock for berthing and servicing the ships near the mouth of the river Sabarmati (But the river Sabarmati’s course was shifted later years).This is the earliest structure based on the knowledge relating to the ebb and the neap tides in the world. And the remains of the Lothal port prove the sound knowledge of the Dravidian in the maritime engineering and the hydro-graphic. They have the better understanding in the effects of tidal water on the brick build structure also. They have constructed the walls of the dock with the kiln burnt bricks. The ships were allowed through the flood gate into the dock through the river estuary flooded by an inlet channel at high tide from the Sea. Similarly the ships have to leave the yard during the high tide and the buttress walls were constructed either side of the inlet near the embankment to avoid the erosion and scouring of the tidal waves. The selection of Lothal for the construction of a dock yard is a cleverly selected one and this reflects the knowledge of the Dravidian of those days. Why because, even now the Cambay reason is the only region with highest tidal range in India. Even now the Spring tides in the Cambay Gulf rise and fall as much as 33 feet with a velocity of more than six knots and the neap tide raise more than 23 feet with more than 5 knots wind speed. In the first century AD an anonymous Egyptian navigator wrote “Periplus Maris Erithrei” in it he gives a detailed descriptions of the harbors, the kings and the people of that period anchorages and about the climate, prevailing wind and also he recorded his observations about the tides in the Arabian sea and the part of Indian ocean and he mention that In India the seas ebb and neap with tides of extra ordinary strength. Lothal site is now silt laden but excavations carried out by the archaeologists and they found 5 phases of structural activities so far. And the first four phases belongs to Harappa culture and the fifth one represents the late or degenerate phase. The dockyard is in the eastern side of the mound with trapezoidal plan. The western and eastern embankments of this dockyard had the facility for berthing and handling of cargo of length 218 meter and 38 meters with the height of more than 4 meters constructed with the kiln burnt bricks. The inlet channels are of 7 meter height and 2.5 kilometers long. The Ships has to enter the harbor were sluiced through the inlet channel at the high tide and when the water level is about the inlet sill. They are well aware of scouring effect of the tidal waves and so constructed two buttress walls on either side of the inlet walls. The second channels runs towards south embankment and right angle to it. In the either sides of the junction of the embankment was provided with the vertical grooves to inserting the wooden door to close the spill way for maintain the maximum water level in the water way. They meticulously designed the water way for desilting. 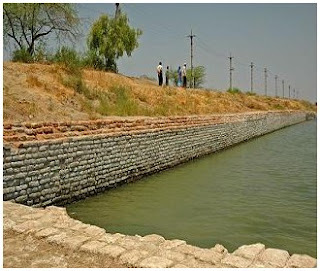 The automatic desilting was achieved by allowing excess water to flow through the spillway and some more grooves were provided at regular intervals in the sidewalls as weep holes. To make the ships float in the low tide the construction of abutments to the wall at the entrance of the dock. To counteract the water thrust in the closed enclosure the walls were buttressed from the outer side with more than twelve meters wide platform with bricks. 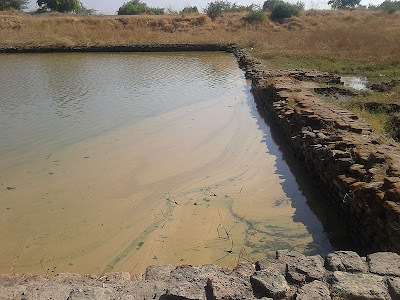 As a conclusion The Harappans were the early users of tidal phenomena and they utilized the tidal phenomena solely for the sluicing and berthing of ships in the dockyard at Lothal. Among the Talmudic age people, there were different opinions about the angels and their nature. Some of them thought every day new angels were created and they praise the god in the day and then at the end of the day they jump in to Nehar di Nur that is the river of fire. And some others added with that that Michael and Gabriel are the only two who serve the god permanently, hence we can come to the conclusion that the Talmudic age people discriminate the angels with respect to their duties assigned to them as eternal angels and the other angels. The Midarsh and the Talmud literature give a brief description about the angels and their creations. 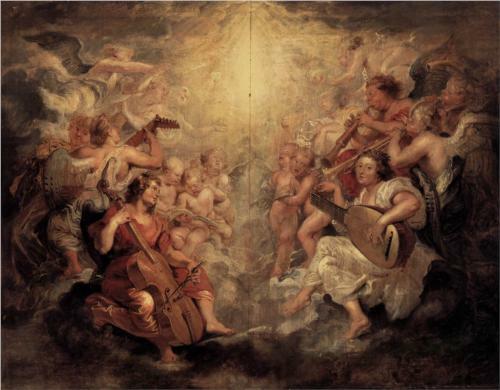 According to those literatures they angels were created by the God on the second and fifth day of their creation. They walk upright and they can fly, and they can reach the one end of the world form other end quickly and they can foretell predict the future and they can only speak Hebrew. They look like human but half fire and half water. Both demons and the angels have many things in common. 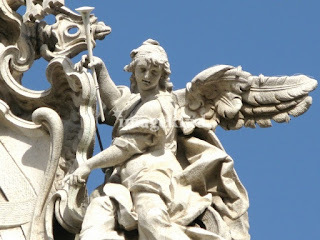 The common belief is that no angel is assigned multiple tasks at a time that is each angle has to carry out a single assignment at a time and they also can make error as a human. 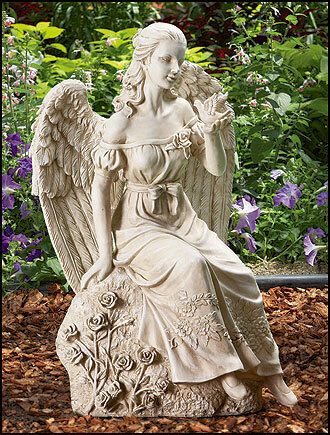 There is much classification among angels, peace and evil angels, angels of life and death. Hence it is evident that there is segregation like lower and higher level of angels. Apart from already told arch angles Sandalfon Zaagzagael and Suriel are mentioned some places But the Midrash literatures gives much importance to the Metatron Angel. 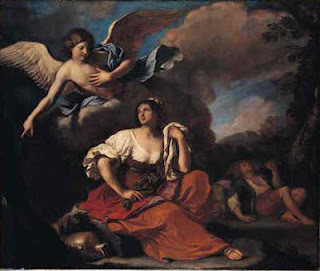 According to apocryphal literature every kingdom and their kings have their own guardian angels and they are chained to avoid doing harm to Israel. 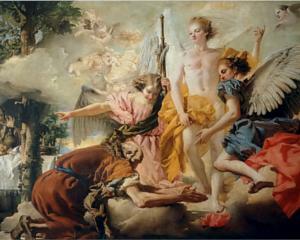 When the kings and their kingdoms fall the angels also fall and they also suffer punishment if the kings suffer punishments. 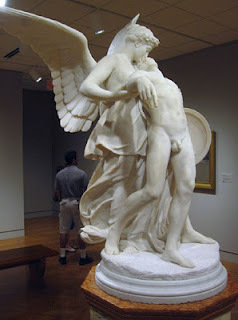 Some of the details of guardian angels are there in Christian Neoplatonists also. Rabbis, the guardian angel otherwise mentioned as Dubiel, in Persia. The name of the guardian angel of Nebuchadnezzar was mentioned as Kal. 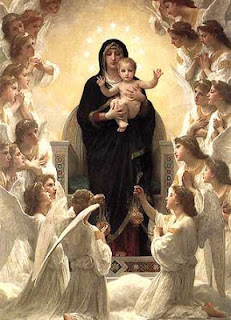 The angels are fully depend o the God himself and they cannot act on their own. They have to proclaim the god’s sanctity and glory all day but they could not view the glory of the God himself and not even their dwelling place. The Aggadah the rabbinic literature differ from the above. According to it the god himself consulted the angels before creating the human and Michael and Gabriel played an important role in the marriage of Adam and Eve. Eve was made pregnant by the angel named Samael. 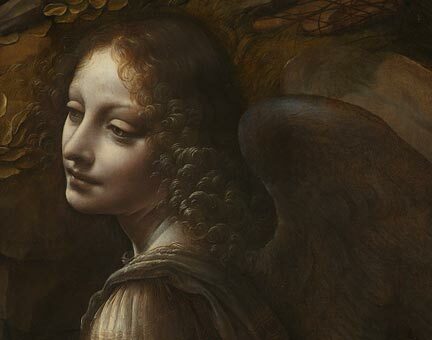 During the Talmudic age traces of angel worship are not found. But the Christian writers have the different versions about that.